Think of this scenario: you (the dentist) just got back from a great seminar in let’s say Las Vegas. You’re so pumped up and excited to get to work, but what about your staff? While you can try your hardest to bring the enthusiasm to your office, it’s just not the same. So, who spends the most time and has a better rapport with patients? Hygienists do! For your next seminar series think about bringing your hygienist next time. Together you can be excited and better understand the roles associated with Dental Sleep Medicine, Craniofacial Pain and other advanced areas of dentistry. 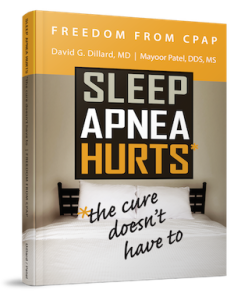 In the last 10 years, dentists and hygienists have become more involved in the treatment of sleep apnea, craniofacial pain, TMD, and other advanced areas of dentistry. Since patients visit their dentist more often than they visit their family doctor, a dental hygienist plays a critical role in screening patients for these advanced areas of dentistry. From sleep breathing disorders to craniofacial pain, a hygienist can ask the appropriate questions each time a patient visits your office. And, if your hygienists don’t know what to look out for, then how can they ask the right questions to help you provide the right treatment? They can’t unless they accompany you to lectures and seminars throughout the year. By remaining up-to-date, your hygienist can work with you each step of the way. A dental hygienist can play a vital role in your dental office if you provide them with appropriate education. Whether it is with you at a seminar, or on their own, continuing education for not only yourself, but your hygienist, too, is key. Dentists and their hygienists work hand-in-hand for the treatment of sleep apnea, craniofacial pain, TMD, and other conditions. Start today by signing your hygienist up for a future seminar–both with you and on their own. If you have any questions about how to incorporate this teamwork into advanced areas of dentistry, such as dental sleep medicine and craniofacial pain, please contact me.